In stark contrast to Infiniti’s latest news, this is perhaps the worst-kept motoring secret this year. 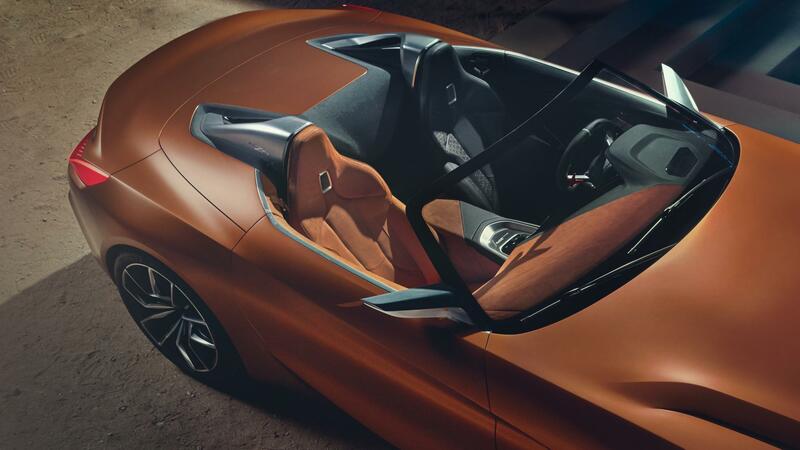 It’s common knowledge that Toyota and BMW combined forces to create a new Z4 and the as yet released reboot of the Toyota Supra. 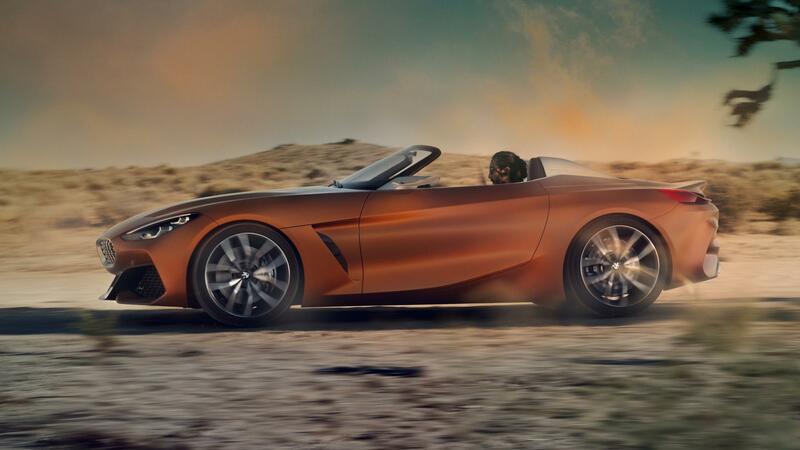 After various leaks and spy shots, BMW has officially unveiled their new sports car. 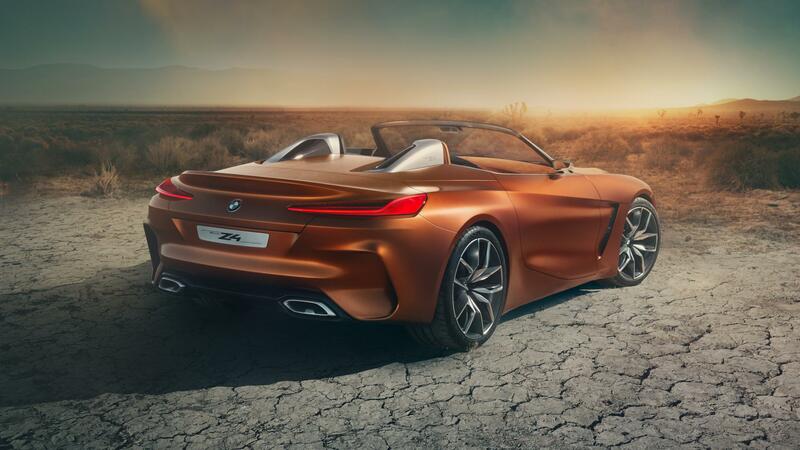 As with the 8 series revealed a little while ago, this a concept car for now, but BMW insist 80% of what you see here will make it to production. We’ll have to wait until the 2018 Geneva motor show to find out whether they’re telling the truth or not. 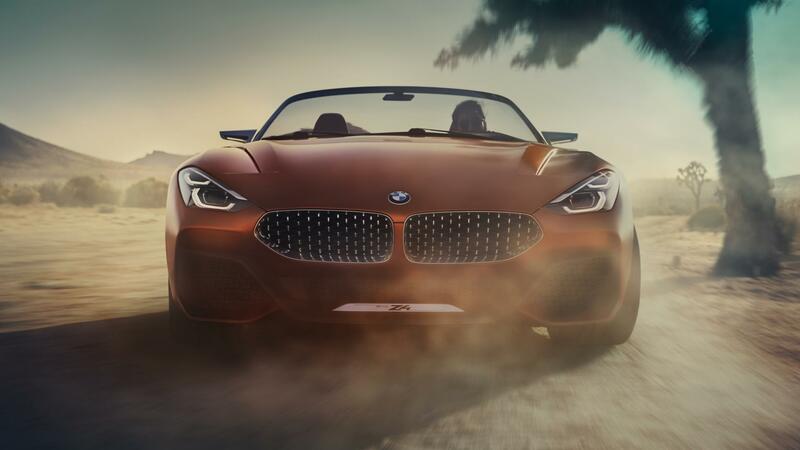 Design wise, all the cues of a proper roadster are there; long front end, short overhangs, no roof and true to BMW’s more recent form, a very aggressive style. 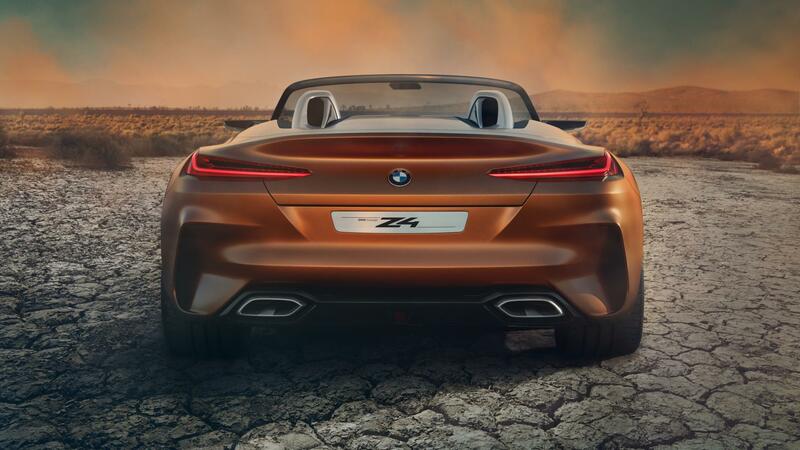 No photos have been shown with the roof up, but based on the spy shots, the new Z4 will feature a fabric folding roof rather than the heavy metal origami structure that weighed down the previous generation. Engines choices range from inline fours to inline sixes with the latter unaided by noise killing turbos. 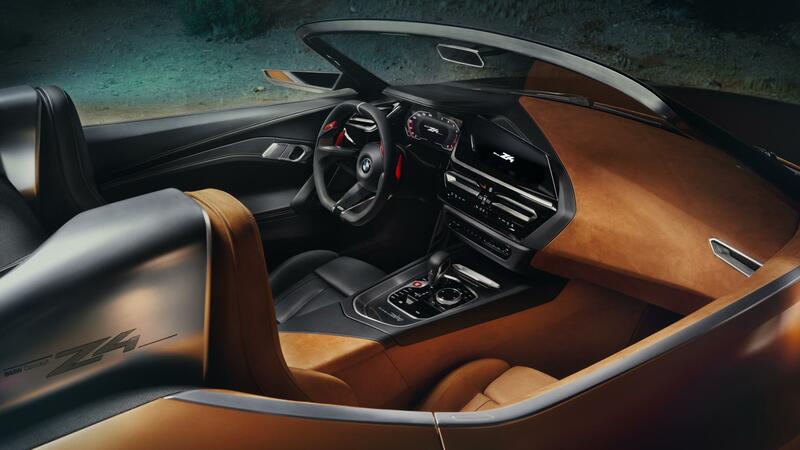 Both automatic and manual configurations will be available and unsurprisingly, the Z4 will be RWD. However, rumour has it that the BMW and Toyota are working on a hybrid setup where a four-pot will power the rears, while the front wheels will have electrical assistance. The aim is to create rapid off the line acceleration and happier EU reps. The interior is nothing too groundbreaking. Sharp lines and angles convey an aggressive, sporty feel similar to that of the exterior. This concept features a split colour scheme across the cabin like one of those gimmicky ‘his and hers’ duvet covers for no discernable reason at all. A large digital display replaces the analogue cluster which is no doubt capable of delivery vast amounts of information on top of the regular speed, RPM and fuel measurements. Such configurations are becoming commonplace nowadays and while it’s hard to argue with the added functionality, I personally prefer the old-school approach in sports cars. There is no word on price yet, we’ll most likely have to wait until Geneva for that. What do you think? Is this the new go to two seater convertible or are you holding out for the Supra? 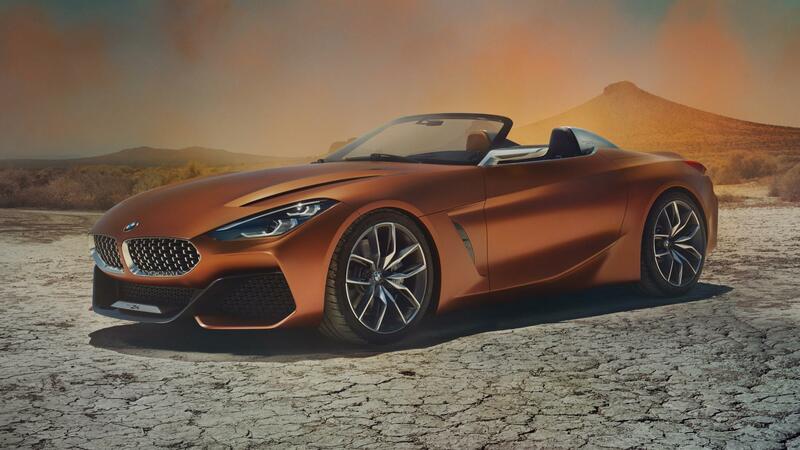 This entry was posted in News, Sports Car and tagged bmw, Toyota.